When you're in the market for a great used car, you may start to feel like everyone is trying to cheat you. How are you supposed to be sure the information the seller is giving you is accurate or that the car is actually worth what you're paying? Luckily, you don't have to go into all of this blind. Use these tips to help you in your search. We know just how overwhelming it can be to start looking for a car, especially because the used car market is so saturated with so many different options. To make this part easier, start by having a clear idea of what type of car you're after. You don't have to know the exact make and model of the car you want, although this can be very helpful. If you don't have this specific information, consider what you will use the car for. Are you looking to add to your vintage car collection? Do you need a car that can haul heavy items? Will it be a daily driver that needs to get you to work and your children to school? These types of questions will help you narrow down your search. When going to a dealership, knowing what type of car you want will help you avoid getting a great deal on a car you don't want or need. Having a budget is essential in order for your search to go well. Before deciding on a set number, create a budget range instead. By having a range you can have more leverage when it comes time to negotiate. Start by offering something closer to the middle so that you have room to meet the seller somewhere a bit higher but still within your budget. Remember to set a realistic budget for what you can afford and for the type of car you're looking for. One of the scariest parts of buying a used car is not knowing if the information the seller is giving you is true. Luckily, you can pay to get a vehicle history report which will spell it all out for. If you're buying a car from a dealership, they will usually include this in the sale. If you're buying from a private seller, paying for a vehicle history report will be your responsibility. No matter what type of vehicle you end up purchasing, remember to be a responsible vehicle owner who keeps up with maintenance. One maintenance task to always stay on top of is synthetic oil changes. Not sure what type of synthetic oil to use in your car? Check out AMSOIL Oil's Signature Series 0W-20 Synthetic Motor Oil. You can find this product and many more from AMSOIL by contacting Advanced Filtration Technologies, Inc. at (701) 572- 3780. Once you're physically in front of the car, take this time to give it a thorough inspection. Even if you don't know exactly what to look for, look at the things you do know about. For example, if you're not sure what a healthy engine looks like, look for signs of wear under the hood, including rust, dents, and general dirtiness. The same goes for the car's exterior and interior. 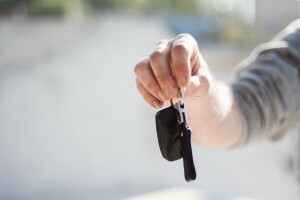 The vehicle's owner shouldn't have a problem with you taking the car for a test drive. Doing so provides you with the perfect opportunity to test out how the car handles and maneuvers on the highway and in city streets. While taking the car on a test drive, be sure to also test out the electronics like the air conditioning and the radio just to be sure they work. If you're by no means a car expert, you can always take the car to a mechanic to have it checked out professionally. Your trusted mechanic can let you know if there are any issues with the car that the seller may have tried to hide. They can also let you know how much repairs would cost and if the car is worth the asking price. You worked hard to get your car, so be sure you take care of it and treat it right by giving it synthetic oil changes in Williston, ND. Contact the oil pros at Advanced Filtration Technologies, Inc. at (701) 572- 3780 for the personalized attention you need. You can browse their full range of AMSOIL Oil products in their online shop.